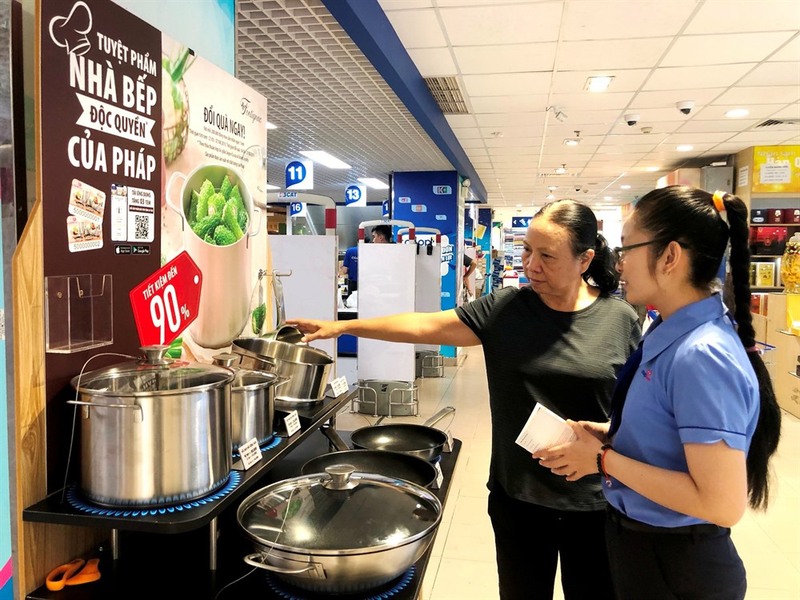 HCM CITY — Saigon Co.op’s supermarket systems will gift more than one million pieces of premium French kitchenware to customers under its programme to exchange stamps for gifts from March 21 to August 21. All are made from 304 stainless steel and have a three-ply bottom, and are not sold in Việt Nam. Customers with all categories of membership cards will get a stamp for every VNĐ200,000 (US$8.6) they spend at Co.opmart, Co.opXtra, Co.op Food, Co.op Smile, HTVCo.op, or Cheers. For instance, to get the saucepan, which has the lowest value among the seven items -- of VNĐ1.3 million ($56) -- customers need 50 stamps and have to pay VNĐ150,000 or five stamps and VNĐ350,000. In addition to traditional paper stamps, the programme this year also offers electronic stamps via the “Tích tem” app downloadable from App Store and Google Play.